How Can You Tell if it's a Miracle? What makes a miracle? Ultimately, you decide. Any unexplainable event that piques your curiosity and inspires your awe may be miraculous to you if you believe that a supernatural realm exists. The top definition for "miracle" in the Merriam-Webster Dictionary is "an extraordinary event manifesting divine intervention in human affairs." Skeptics say that miracles may not happen because God may not exist. Or, if God exists, he may not intervene in people's lives. But believers say that miracles happen constantly as God works in the world. People throughout history have reported experiencing many different types of miracles, and each person's individual perspective on an event determines whether or not they consider it a miracle. Dramatic events: Events like a terminal cancer patient's spontaneous remission or a religious figure's apparition may capture your attention as miracles. Dramatic occurrences such as an earthquake victim who's rescued after many days underneath rubble often are touted as miracles in the news. Quiet yet unexplainable events: You may also consider quiet yet unexplainable events to be miraculous. For example, figuring out how to solve an urgent problem after praying for guidance, or meeting your future spouse and somehow knowing that you're meant to be together may be miracles in your life. Eastern religions: People who practice Eastern religions such as Buddhism and Hinduism tend to believe that they can make miracles happen by performing mystical acts. Western religions: Those who follow Western religions such as Christianity, Judaism, and Islam tend to believe that a personal God performs miracles in people's lives whenever he chooses to do so. The most famous miracles are those that the Bible records in both the Old and New Testaments. Many people are familiar with stories of biblical miracles, and some, such as the Old Testament's account of the Red Sea parting and the New Testament's report of Jesus Christ's resurrection from the dead, have been depicted in popular cultural media like movies. Some biblical miracles are dramatic; others are quieter but attributed to divine intervention. But all have the same element in common, urging trust in God. 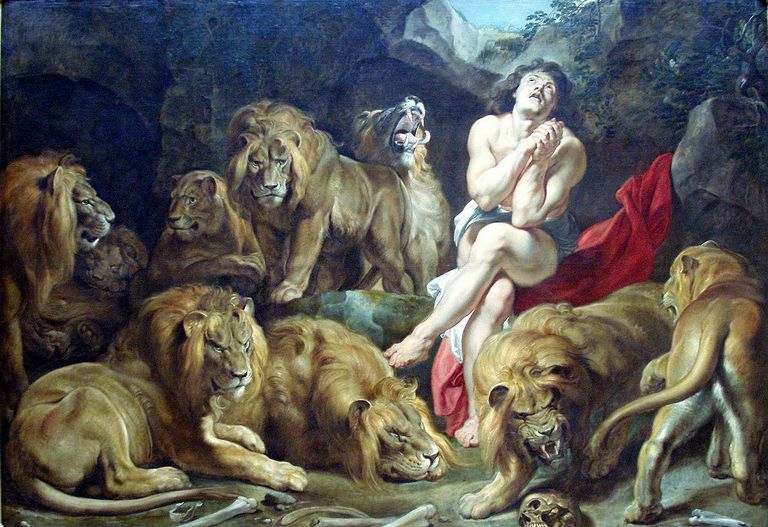 Daniel in the Lion's Den: Chapter six of the Old Testament book of Daniel records the story of how King Darius had the prophet Daniel was thrown into a lions' den to punish Daniel for praying to God. King Darius returned to the lions' den the next morning and discovered that Daniel was unharmed. "My God sent his angel, and he shut the mouths of the lions," Daniel tells the king in verse 22. Verse 23 declares that the reason God performed the miracle was "because he [Daniel] had trusted in his God." The Bread Loaves and Fish: All four of the New Testament Gospel books describe how Jesus Christ fed more than 5,000 people using just five loaves of bread and two fish, food that a boy was willing to share from his lunch that day. Jesus multiplied the food the boy entrusted to him to give the hungry crowd more than all the provision they needed. If you believe in miracles, you're probably eager to find out what messages God may be trying to communicate. Each miraculous event you encounter may have something profound to teach you. However, no single explanation may be enough to fully understand the miracles you experience. What if you have more questions than answers when you're trying to learn from miracles? You can use your questions to deepen your pursuit of truth and discover more about God and yourself in the process. Do Saved Miners and an Ice Hockey Game Rank as Modern-Day Miracles? What Was the Christmas Star of Bethlehem?